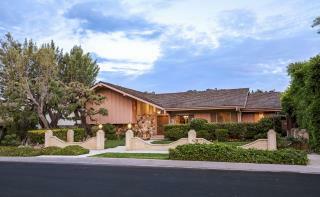 (Newser) – The "Brady Bunch House" has a buyer, and it's HGTV. "I'm excited to share that HGTV is the winning bidder and we'll restore the home to its 1970s glory as only HGTV can," David Zaslav, CEO of parent company Discovery, announced Tuesday in a second-quarter earnings call, reports CNN. "We'll bring all the resources to bear to tell safe, fun stories with this beloved piece of American TV history," Zaslav added, promising more details in the coming months. I hated the Brady Bunch. Who are all the tasteless boring people who like it? That scares me. The Brady Bunch Movie was great. The TV show... meh.